Snakes and Ladders is an ancient Indian board game that you might know better by its Milton-Bradley-ized name, Chutes and Ladders. 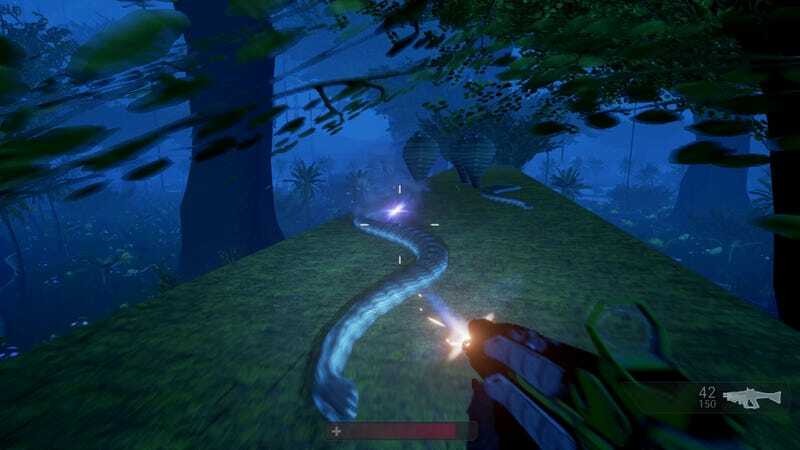 Somebody is turning it into a first-person shooter, because of course they are. I can’t tell whether this is tongue-in-cheek or not. I do know one thing, though: it doesn’t look particularly fun. Shooting rapidly approaching ground enemies is the annoying part of many other FPSes, and here it looks like the focus of the game. Maybe the developers have figured out how to make it great, but I’m not counting on it. So there we go. There is that. Yeah. But hey, did you know that Snakes and Ladders has a long and storied history going back centuries, spanning countless iterations and evolving through multiple cultures largely thanks to appropriation and British imperialism? It’s a fascinating case study in the many ways that a game can persist through time, sometimes for better, sometimes for worse. It’s well worth looking into as everything from a cautionary tale, to an example to follow, to something that’s just cool to know about. I suppose Snakes-N-Ladders: Origins is another rung on that ladder, but I think we’re looking at a historical footnote (at best) rather than the next evolution. Or at least, I hope so.